Constructed of 100% durable, padded 600D polyester, the Oakley Sidearm Case is equipped with a hook-and-loop panel along with dual-webbing strips on its back that allow it to easily attach to other gear, such as a compatible pack. Its ¾-zip-top design offers quick, easy access to your firearm, right when you need it. 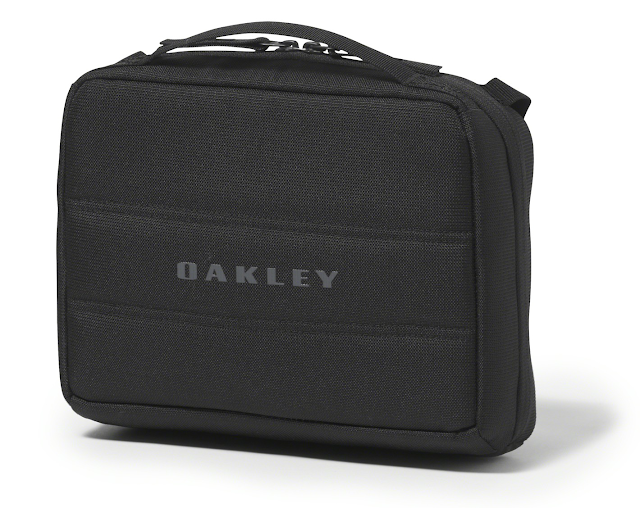 If you’re looking for high-quality levels of organization, the Oakley Sidearm Case’s padded divider with a pocket and side panel with elastic webbing ensure that your sidearm, ammo, and any other incidentals are exactly where they need to be. 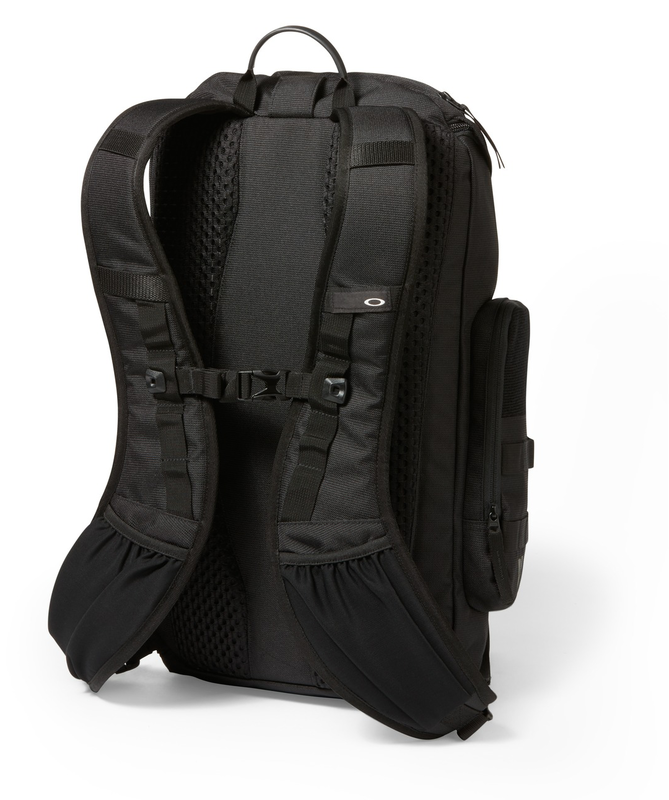 Available in a sleek Black color, its 3L capacity offers more than enough room for all your gear-related items. Once everything you need is organized and stored, use the Oakley Sidearm Case’s top handle for convenient, secure transportation. The bag measures 9 inches long by 8.25 inches tall by 3.1 inches in diameter. Make the time to get organized now so that you’re prepared for anything later. For more information and to get yours, be sure to visit GideonTactical.com. 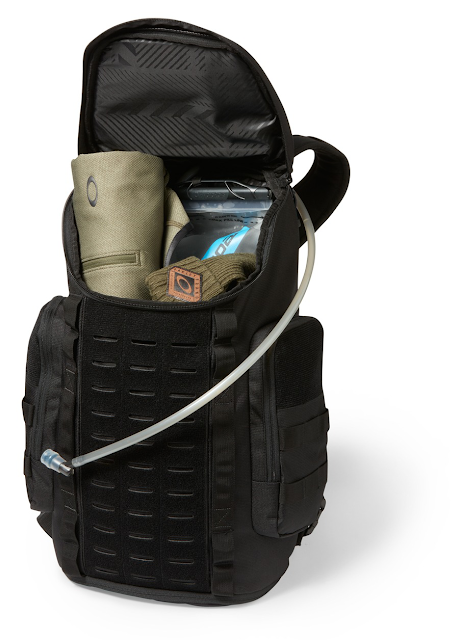 Lauded for its versatility and relied upon for its durability, the Oakley Link Pack Miltac is perfectly suited to help you confront and overcome the most formidable of obstacles: Use its comfortable, padded shoulder straps in tandem with a sternum clip to stabilize the weight of the pack’s contents, and enjoy ample hydration courtesy of its interior sleeve with an included two-liter water bladder, which is ideal for giving you the extra support needed to either crest an imposing ridge or to get you to your extraction point. Constructed of resilient 600D polyester that protects and shields its contents, the Oakley Link Pack Miltac’s multiple Velcro® panels and daisy-chain webbing ensure that all your necessary gear and equipment stay firmly stored and secured at all times. It even is equipped with a dedicated footwear compartment that keeps your shoes separate from all your other gear. This is useful for keeping the mud from your boots away from the rest of your gear. 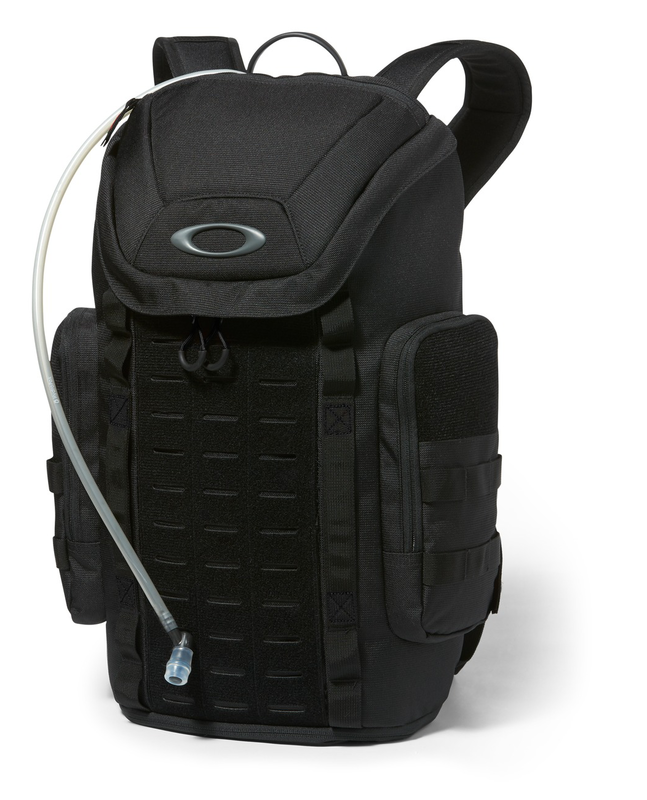 The Oakley Link Pack Miltac measures 20.5 inches tall by 12.5 inches wide by 7.5 inches in diameter, and its side pockets feature easy-access storage and quick access to any number of items, such as phones, flashlights, compasses and more. For those extra-bright days, you can store your eyewear of choice in the pack’s padded pockets for when you’re not using them to shield your eyes from ambient light. Stay on top of your game with the Oakley Link Pack Miltac. 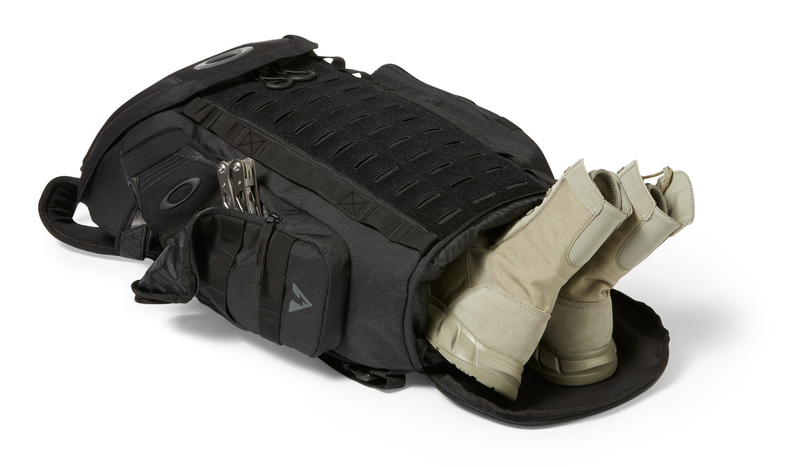 For more information on this infinitely useful piece of equipment and to get yours, be sure to visit GideonTactical.com. It’s late at night. You’re alone. Then, it happens: Your front door is kicked in, and the home invasion begins. You have home-field advantage, but do you have the edge you need to stay one step ahead of your assailants? 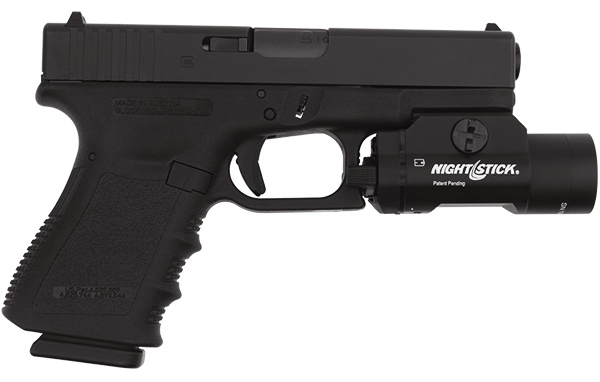 Illuminate your advantage with the new Nightstick Tactical Weapon-Mounted Light. After all, you and your family’s safety is your top priority. 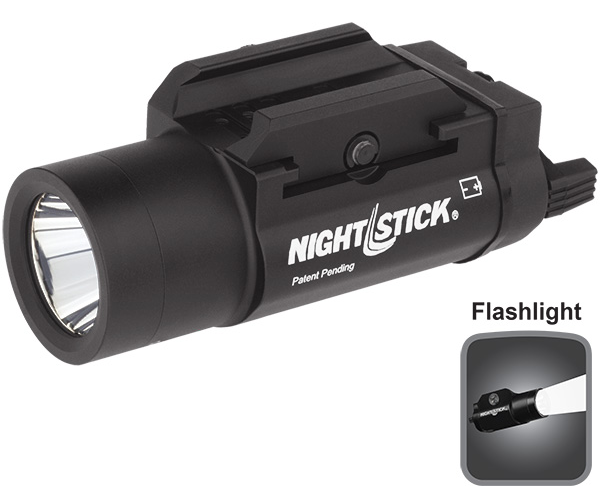 In a tactical situation, adding an illumination option to your weapon of choice can complicate things. You don’t want to be thinking about using your fine motor skills when your adrenaline is flowing, so you’ll need a simple, but highly effective light source. Fully ambidextrous, the Nightstick Tactical Weapon-Mounted Light allows you to use it with both your off-hand and your gun-hand by utilizing the same operation. This gives you the reassurance you need to quickly and accurately operate your equipment, giving you one less thing to think about when dealing with a potentially life-threatening encounter. 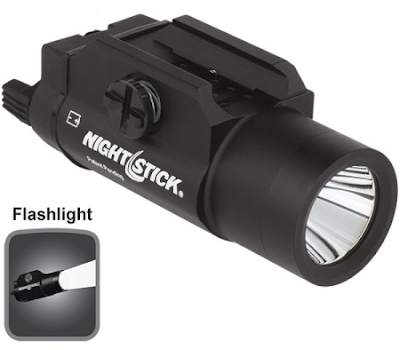 Utilizing a CREE® LED-rated 350 lumens that work in conjunction with a high-efficiency, deep-parabolic reflector, the Nightstick Tactical Weapon-Mounted Light’s usable beam of light is rated at 215 meters. Should you desire more power, an 850-lumen model is also available. 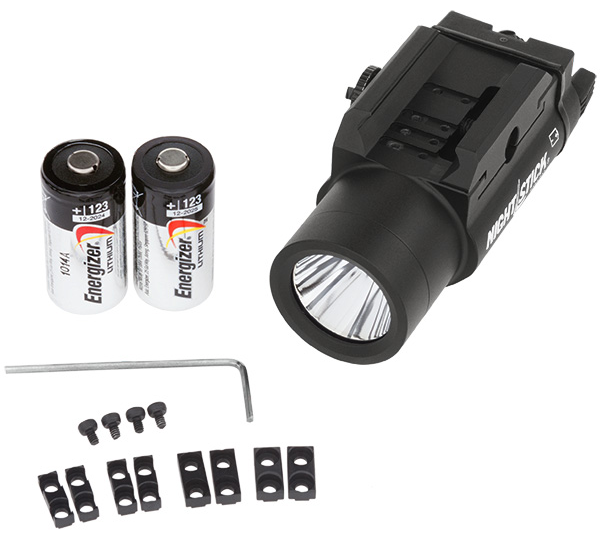 Its toggle switch (also fully ambidextrous), which is located on each side of the light, offers multiple modes: momentary-on and constant-on. Each is designed to simplify interaction and reduce reaction time in high-stress situations, which can make the difference between life and death. Get the advantage you need to survive. For more information and to get yours, be sure to visit GideonTactical.com.